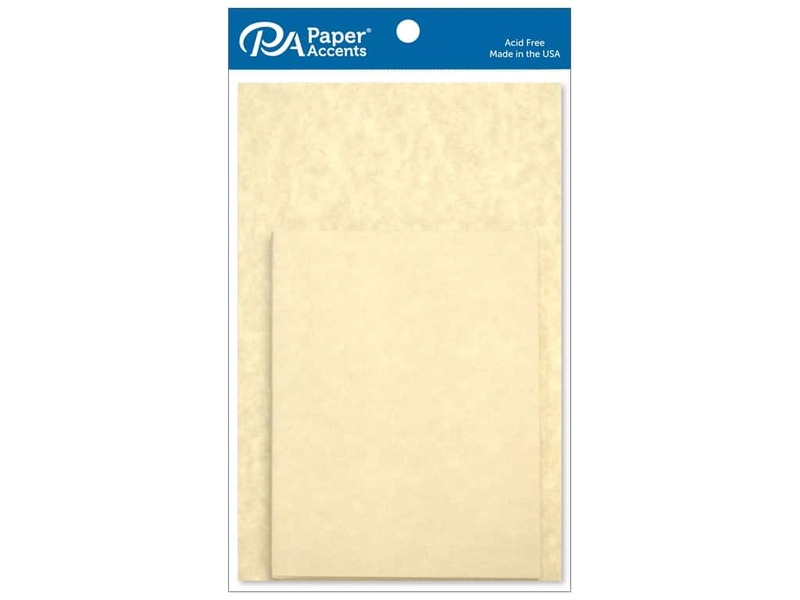 Description: Paper Accents Card & Envelopes are acid free, lignin free, buffered, and archival quality. The cards and envelopes are heavy cardstock. Decorate with rubber stamps, rub-ons, stickers and much more. Package includes 10 - 4 1/4 x 5 1/2 inch cards and 10 envelopes. Natural Parchment. See more Paper Accents 4 1/4 x 5 1/2 in. Card & Envelopes.